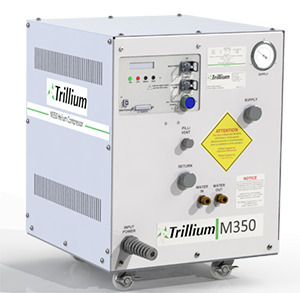 The Trillium M350 Helium Compressor is an advanced cryo compressor capable of driving a multiple 8” or smaller cryopump or coldheads. 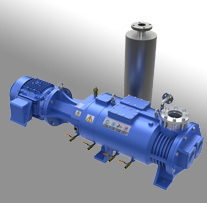 It also unique in that it can drive a single 10” cryopump as well. Refer to the compatibility matrix below for more information. Available only in a 3 phase water cooled configuration, the M350 offers best in class features, such as a roll around chassis, integrated LCD to display health and status information, water flow indication, and USB output. 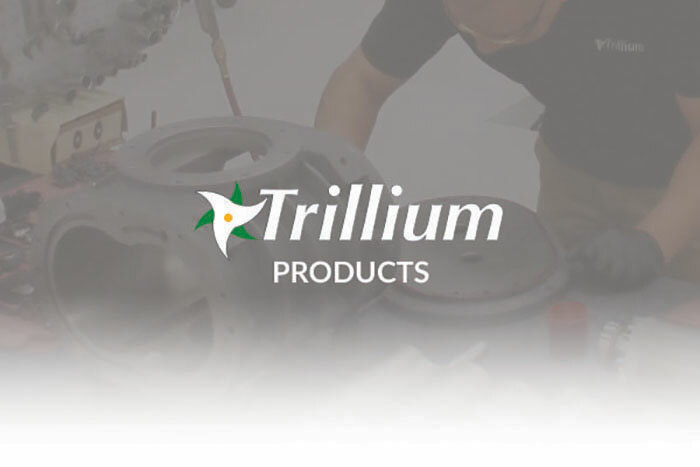 If your M350 requires service, Trillium maintains world class repair capability, spare parts and technical support for this and our other helium compressor models.